Who doesn’t secretly love watching teen movies? Exactly! We all do! That’s why we’ve determined which teen movie is perfect for you based on your zodiac sign. Seriously, here are your weekend plans all figured out right here for you. While teen films can often be disregarded as a guilty pleasure movie, they are often much deeper and intellectual than they first appear. Teen movies can also be extremely therapeutic to watch, as the viewer can watch a character endure the same difficulties as they did, yet the character may overcome said difficulties in a way in which the viewer wasn't quite able to. Oh, and there’s also the nostalgia factor. Long story short, teen movies are awesome. It can be difficult to choose just one teen movie to watch, since there are so many great teen movies out there. Well, just like your zodiac sign can point you in the direction of the perfect horror movie for you, it can also point you in the direction of the best teen movie for you to watch and below we have yours. Like we said, we have your weekend plans right here! Or at least, two hours of your weekend plans. Aries is the first sign of the zodiac, which accounts for their competitive nature and leadership qualities. Aries is obsessed with being #1 in pretty much every aspect of their life; while they are determined, ambitious, and optimistic, they can also be impulsive and aggressive. Aries wants to reach their goal and they want to reach their goal RIGHT. NOW. Mean Girls is the best teen movie for an Aries to watch, as much of the humor is about the competitive social nature of high school. Of course, an Aries will likely connect with Regina George, even if she’s technically the villain of the movie - but hey, she’s also the leader of the Plastics, so there's that. Taurus is a grounded Earth sign, with realistic expectations and goals. They are logical, down-to-earth, and hard-working. Practical, reliable, and loyal, Taurus makes for a great partner or friend; however, they are also incredibly stubborn. Once they’ve been burned by someone, they never forget it. This stubborn quality makes Taurus totally connect to 10 Things I Hate About You’s Kat. Seriously, has there ever been a more stubborn high school character than Kat? Essentially, 10 Things I Hate About You is a teen film about love melting Kat’s icy heart, to which any Taurus will totally relate. Which Universal Movie Monster Are You Based On Your Zodiac Sign? Gemini is perhaps the most social sign of the zodiac; they love striking up conversation with strangers and walking away having learned something new. Yet Gemini can also be inconsistent, indecisive, and distant. They aren’t the best at making decisions, but decisions are hard. Being so social, Gemini would love Can’t Hardly Wait, as it’s a movie completely and totally about one epic high school party. Furthermore, the movie features many characters peeling back layers to reveal deeper truths beyond whichever stereotype they might be. 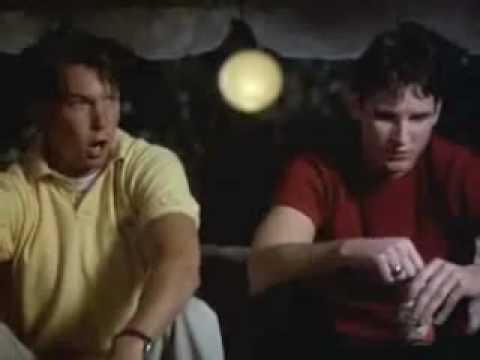 This is the type of character revelation Gemini enjoys experiencing or watching; plus, the chaotic energy of Can't Hardly Wait completely appeals to the chaotic nature of Gemini. Cancer is one super emotional Water sign; having such a strong connection to their feelings can be a blessing and a curse for Cancer. They are intuitive, empathetic, and imaginative. However, Cancer can also be moody, insecure, and manipulative. Because Cancer is always feeling all the feelings, it’s a good idea to let some of these feelings out through watching an emotional movie, like The Fault in Our Stars. Yes, The Fault in Our Stars will 100% make Cancer cry a million tears, but it’ll feel like a nice release since this sign pretty much cries on a weekly basis. 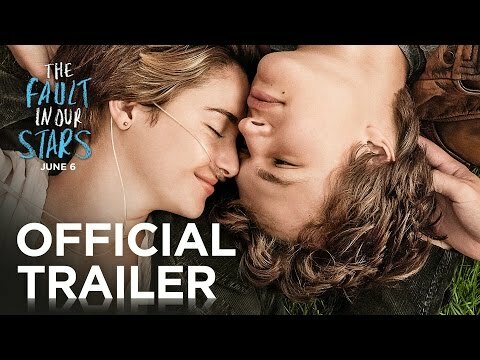 Look at it this way: Cancer can either cry about missing their train one morning or about Gus and Hazel’s tragic love story. It’s probably best to opt for the second option, as crying in the privacy of your Netflix account is always preferred to crying in public.